Not everyone is lucky enough to have a spacious backyard suitable for a proper summer cookout, but that doesn’t mean there aren’t other options. 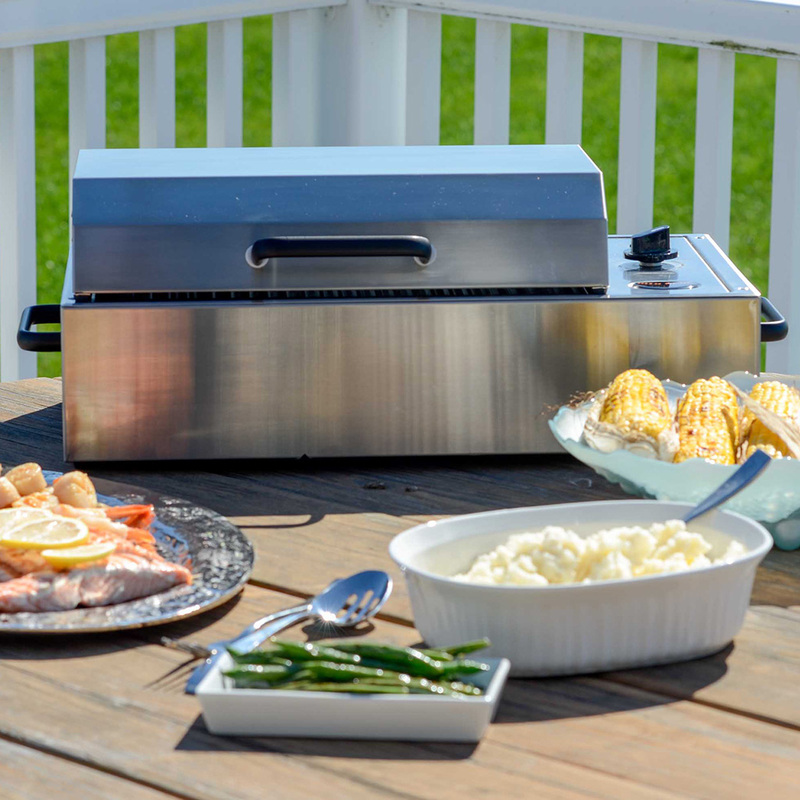 Here, gear that will help those who have only a tiny balcony or no outdoor space at all to get to grilling. Oh, and this post will not serve as a legal defense for lighting fires where they aren’t allowed. But for those of you with understanding landlords, here’s what you need. No, smoking meat on your stove is not the same as putting in a Big Green Egg outside, but a stovetop version like this one will get you a little closer to the smoky ribs you want. Another stovetop-designed piece, the Brassé is loaded with lava rocks that its designers say are totally smokeless and safe to use inside. The problem with most barbecue tools is that they are big—they have to be in order to keep you away from the flame. But your tiny apartment does not have space for that. These foldable tongs and spatula are the only grilling implements you need, and they come in a perfect compact package. If you’re working on a small grill like some of the ones on this list, it’s tough to get the full kebab experience. That’s where flexible skewers come in. Just bend and shape them to fit whatever apparatus you’re cooking on. Don’t waste whatever precious space you have in your tiny kitchen on grill thermometers. The GrillTimer watch will tell you when it’s time to flip your meat and when to pull it off the grill. A compact charcoal grill that will hang right from your balcony railing. If you can’t use an open flame, this could be your saving grace. It’s almost entirely smokeless and keeps flare-ups to a minimum.